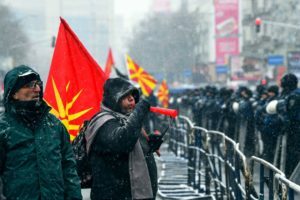 Note from LeftEast editors: Last week, Macedonia’s Parliament approved a constitutional amendment to change the country’s name to the Republic of North Macedonia. Under the agreement, the country’s language will be called Macedonian and its people known as Macedonians/citizens of the Republic of North Macedonia. The new name will be used both internationally and bilaterally, so that even the 140 or more countries that recognise the name Macedonia will also have to adopt North Macedonia. In Macedonian, the name is Severna Makedonija. While mainstream media have described this vote as “historic” – voices from the Left have been highly critical of it. We present here one such perspective by Goran Lazarevski. Yes – the Macedonian Parliament voted today to change the name of my country to North Macedonia. No – I do not accept your congratulations and I consider it offensive if you call me North Macedonian, just as it has been the case with FYROM until now. Here’s why. 1. The Prespa agreement was put on a referendum for approval, which was heavily boycotted by the people and it failed by a very wide margin to pass the census of 50% to become valid. 2. Undeterred, the government blackmailed 8 opposition MP’s against whom there were serious corruption and terrorism allegations into voting for the agreement, which needed a 2/3 majority to pass, in exchange for full amnesty for their crimes. 3. In order to pacify political opposition and secure smooth passage in Parliament, all key political figures and mafiosos from the previous criminal regime (current opposition) were pardoned, while former Prime-minister Gruevski, also accused of corruption, was allowed to flee across the border in Hungary where Orban granted him permanent asylum, to enjoy the stolen money until the end of his days. 4. This entire travesty was mediated and supported by Western power brokers (key among them the US ambassador), which was a case of unprecedented meddling in the internal affairs of a sovereign country, even by Macedonian standards, while at the same time having the audacity to blame Russia for meddling. To give a few examples: (a) the US ambassador cornered MP’s in Parliament, locking them up in rooms in order to pressure them how to vote. (b) During the trial of the MP’s who were convicted of terrorism for the storming of the Parliament that took place two years ago, the protected witnesses were heard in the sole exclusive presence of the US Ambassador as an “impartial party” while the lawyers of the accused were forced out of the courtroom. 5. Predictably, none of the Western media will report about any of this. While the Macedonian state was born out of the heroic anti-fascist struggle of the Macedonian socialists for freedom, self-determination and social justice, the North Macedonian state was born today by cowardly abolishing the right of the people to self-determination and the betrayal of justice by our neocolonial corrupt elites granting themselves full amnesty for their crimes. For these reasons, I do not recognize North Macedonia as my home country. It is a sad criminal entity that sooner or later is sure to end up in the dustbin of history. 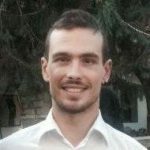 Goran Lazarevski has a PHD in economics from Columbia University. He currently lives and works in New York.